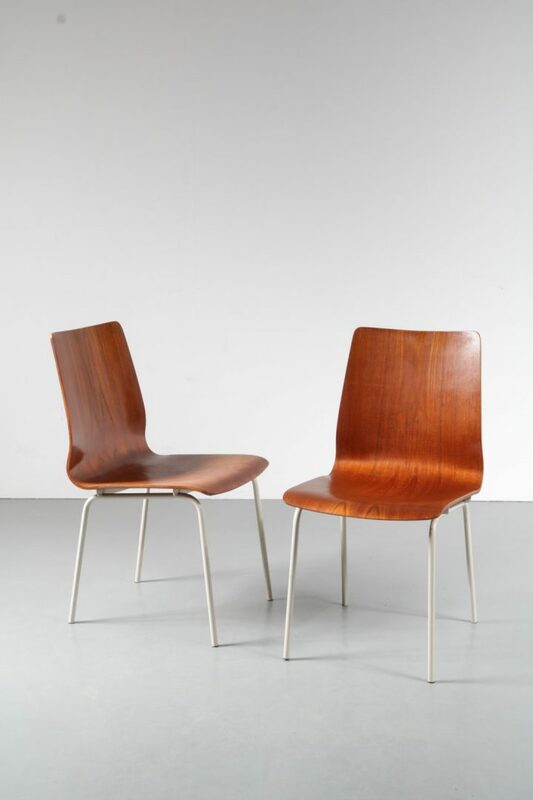 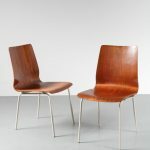 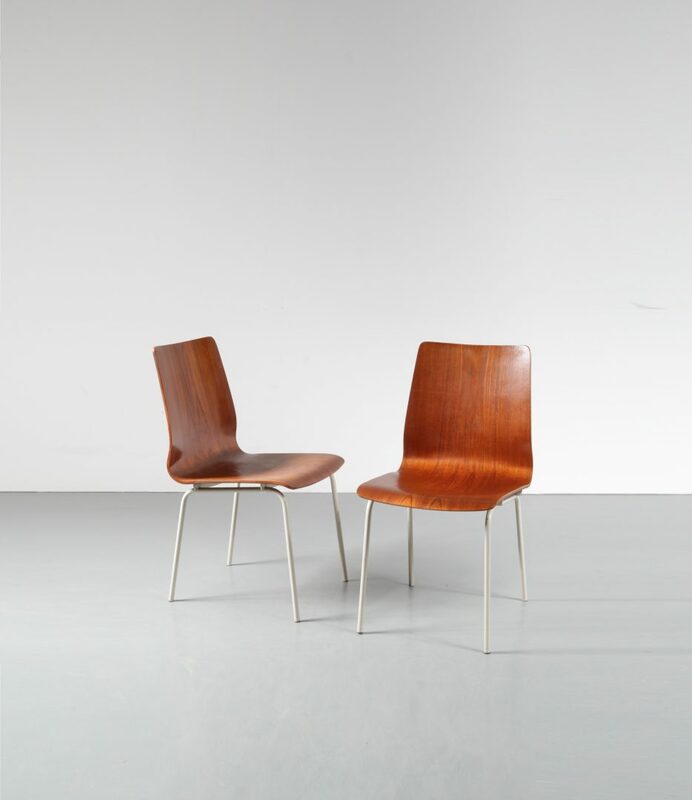 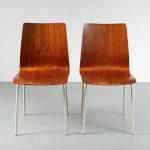 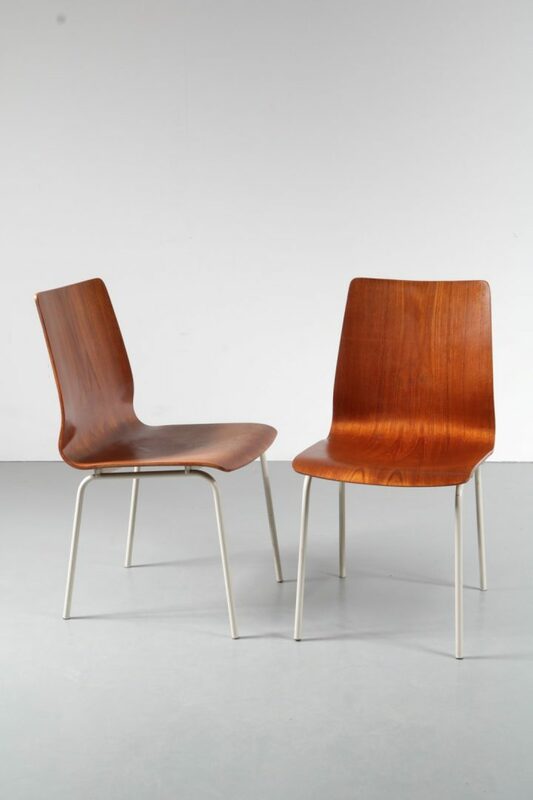 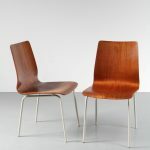 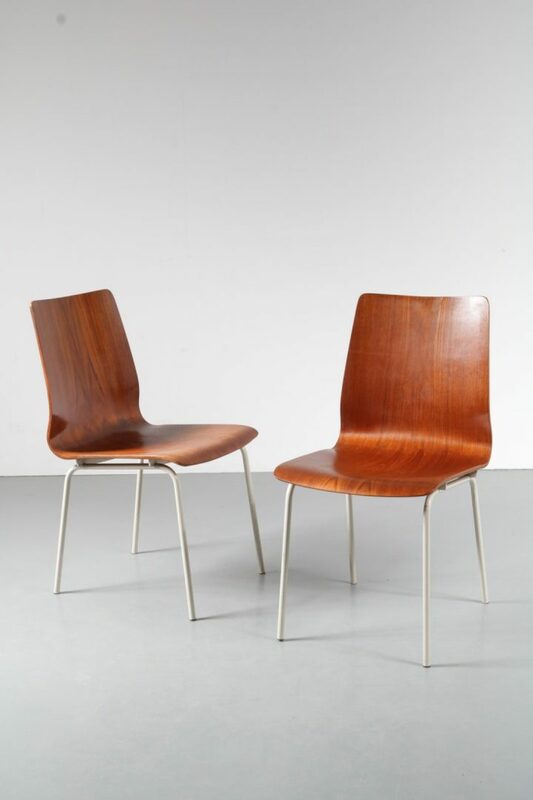 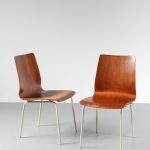 This wonderful pair of chairs captures the essense of Dutch midcentury design: no-nonsense, yet elegant. 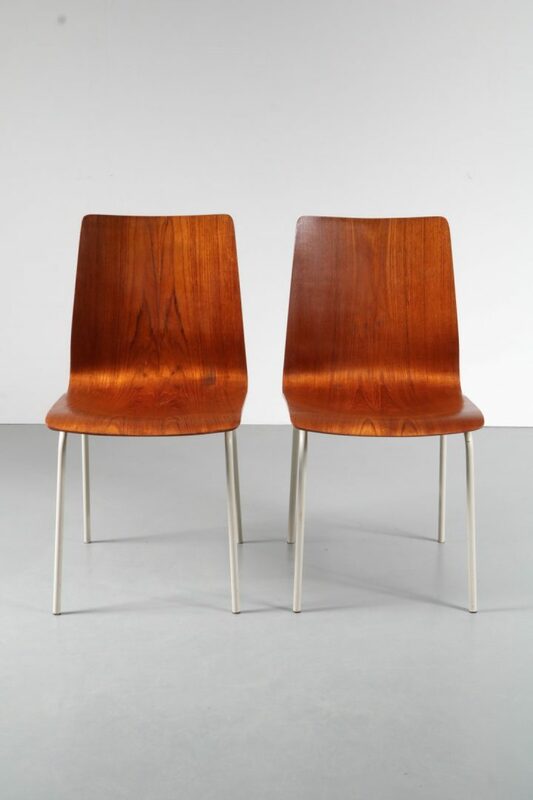 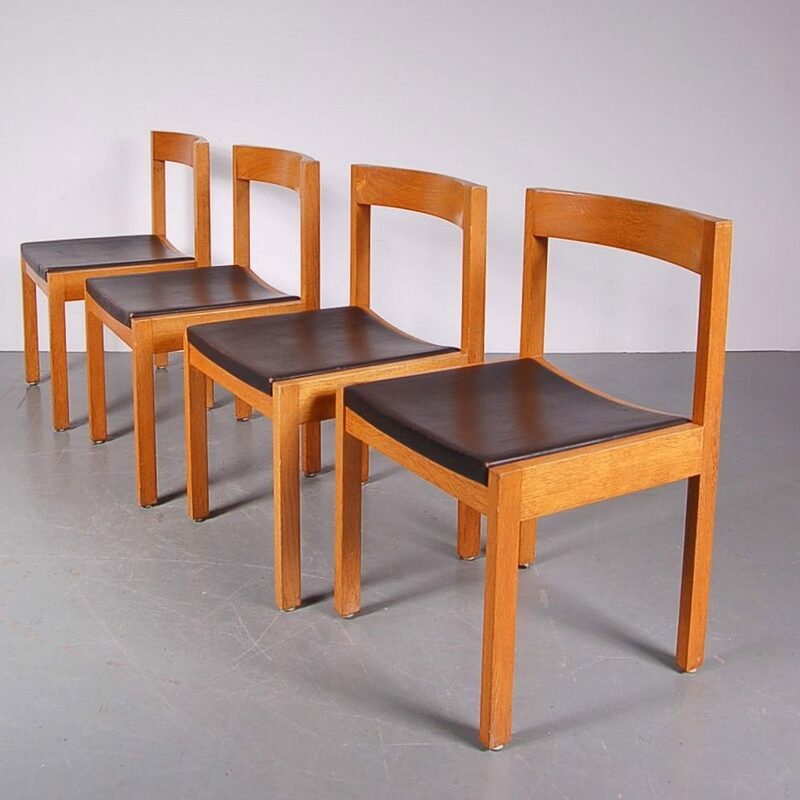 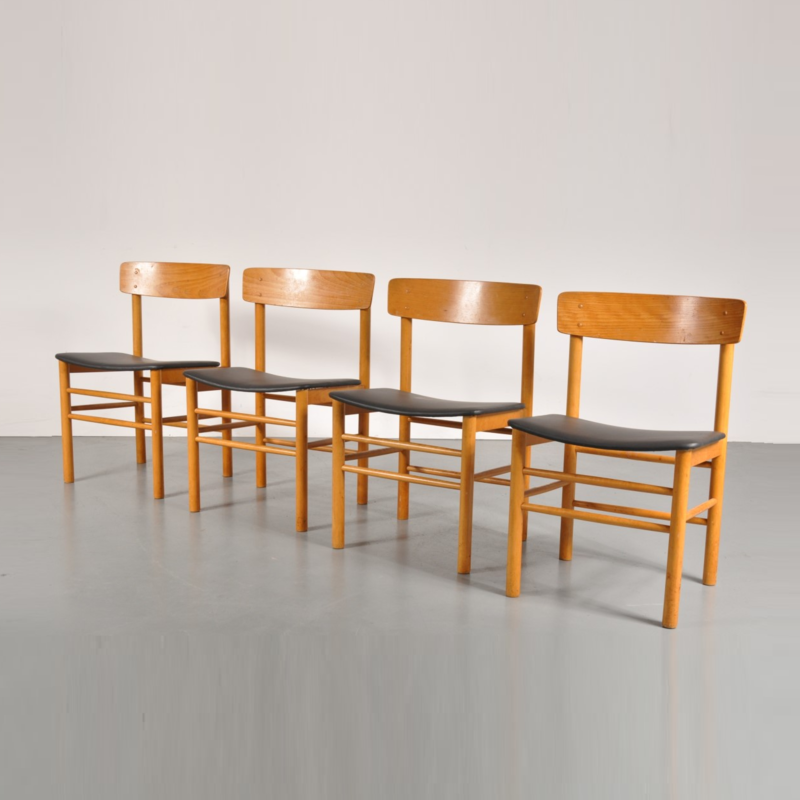 Friso Kramer is one of the most celebrated midcentury Dutch designers and these chairs are an amazing chance to add this to your interior. 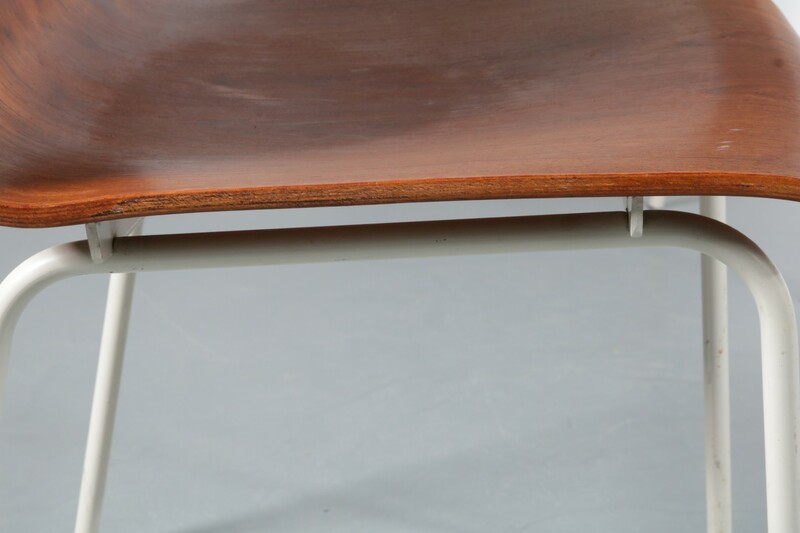 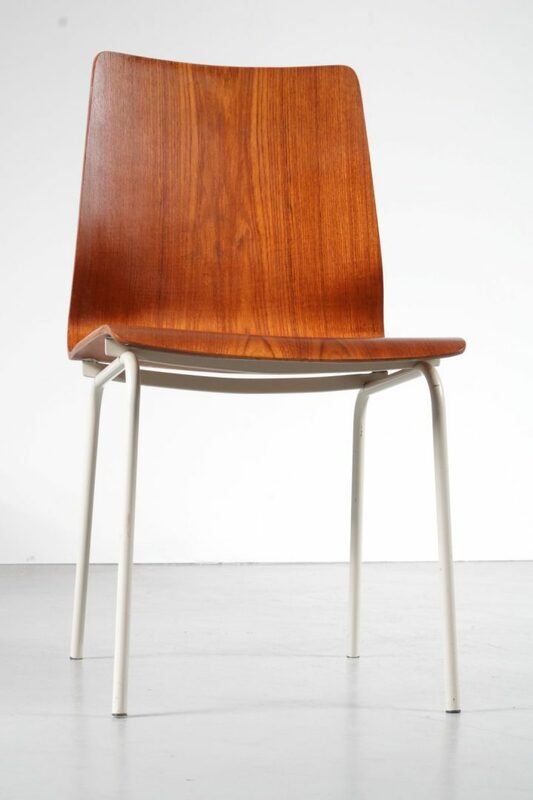 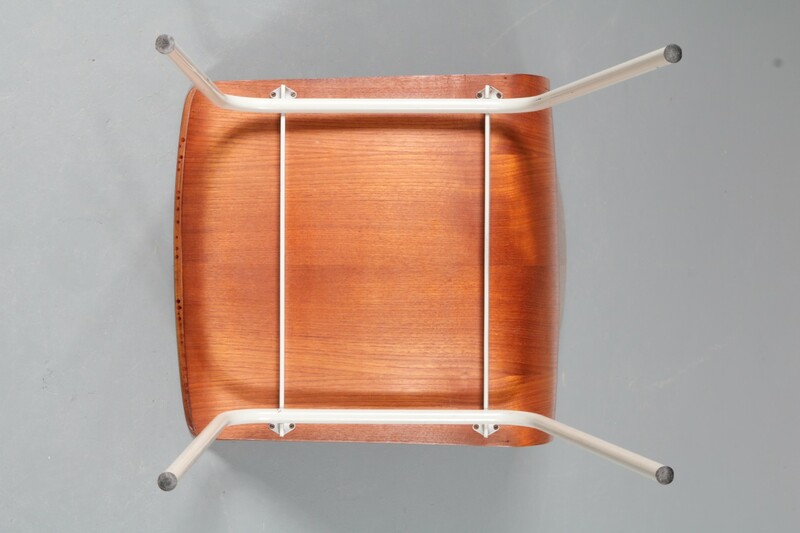 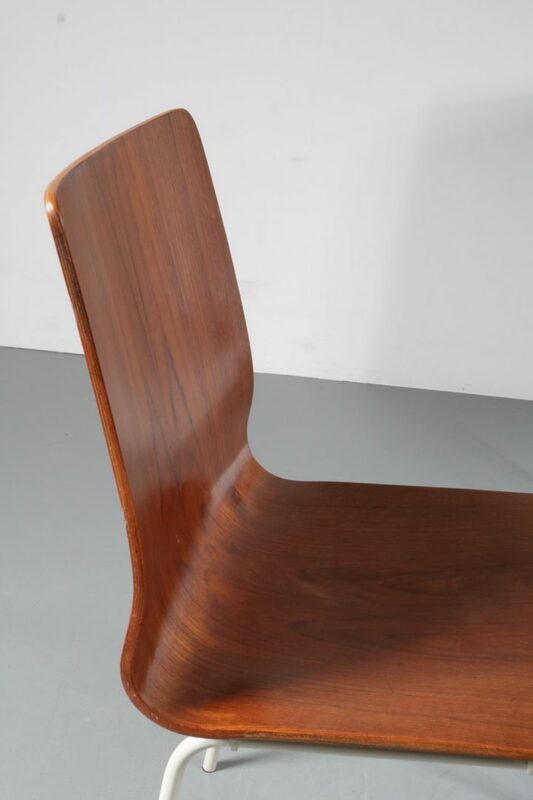 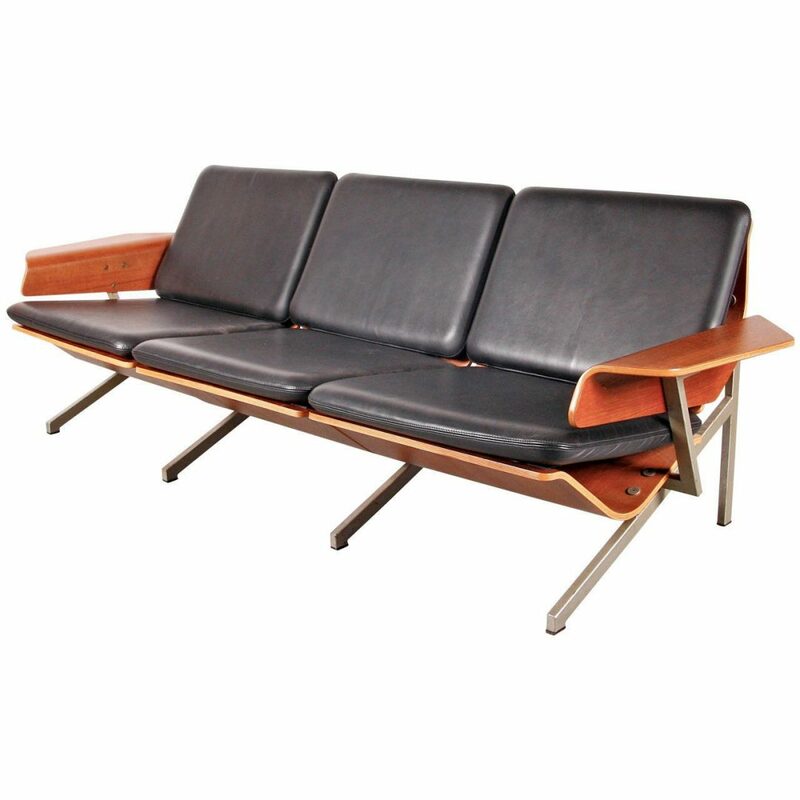 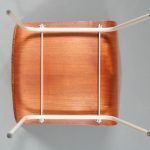 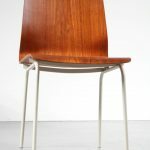 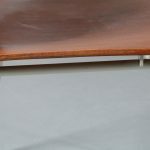 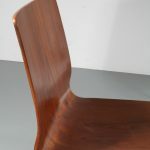 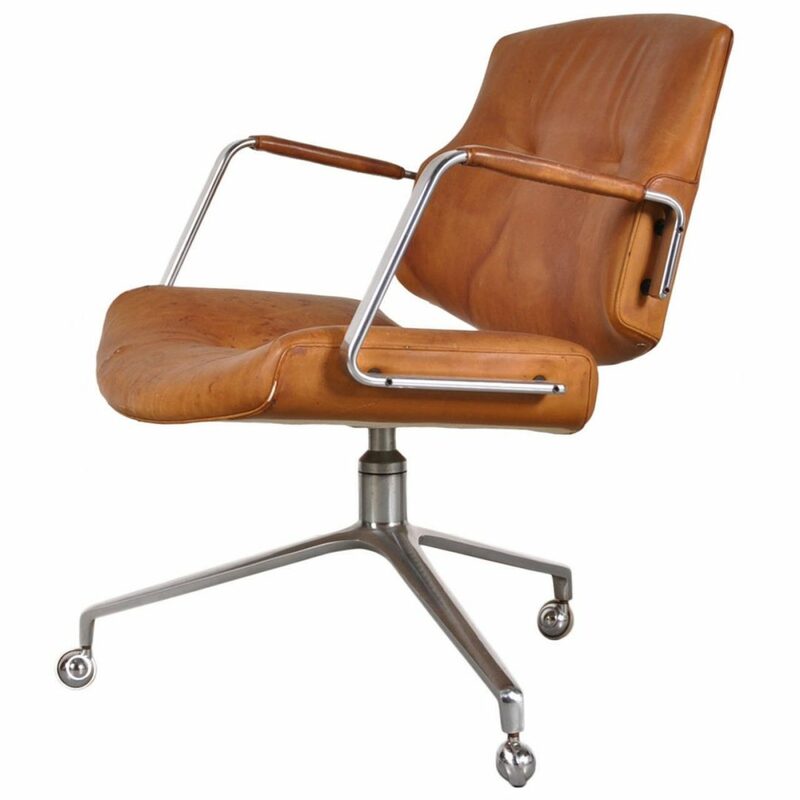 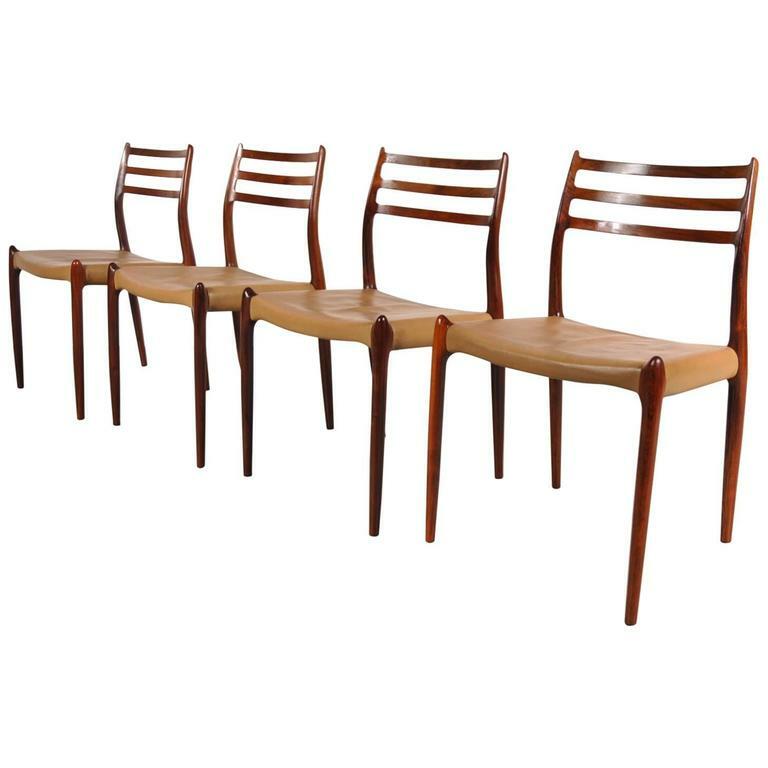 The seats are made of high quality teak plywood in a warm brown colour, bent in a comfortable position. 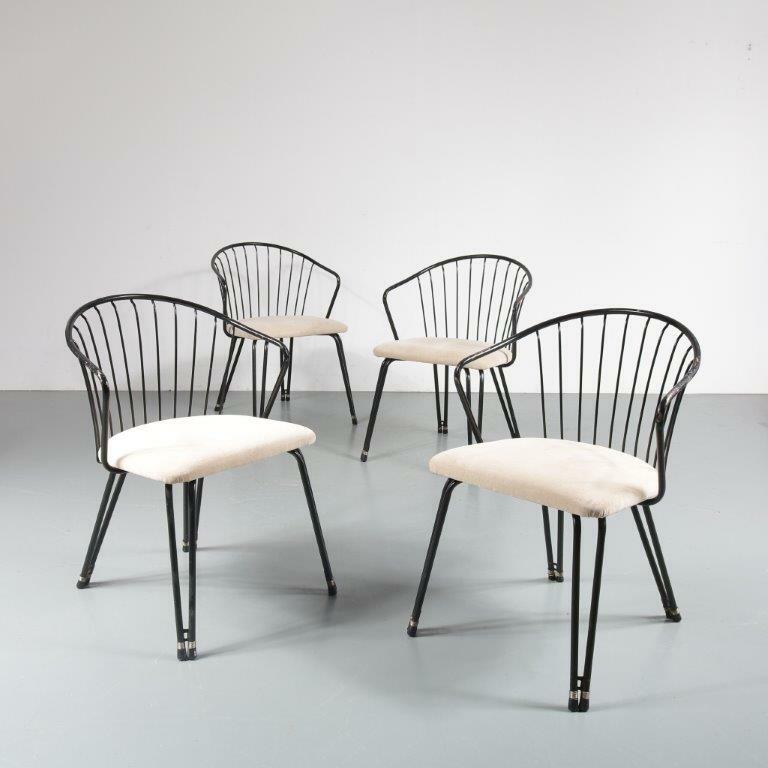 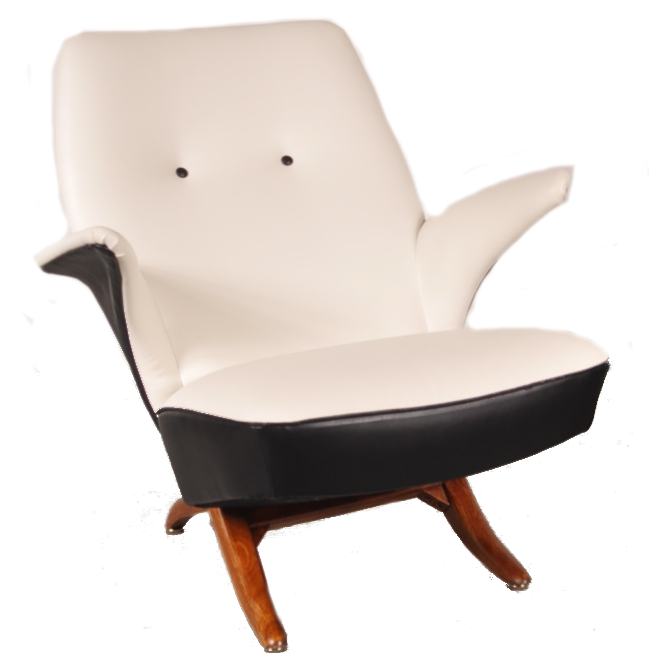 Their white lacquered metal bases are the perfect finishing touch. 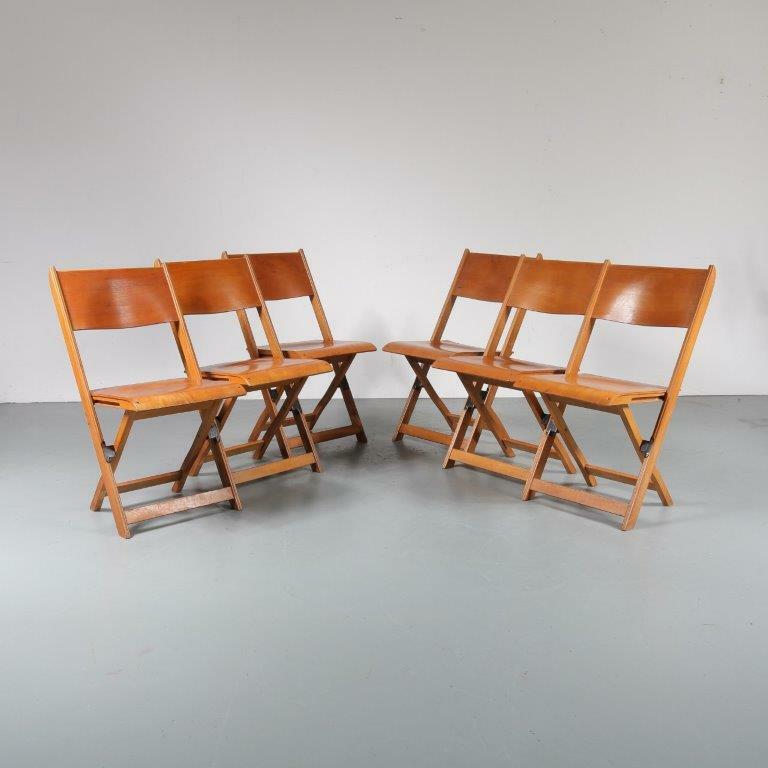 The seats remain in very good, vintage condition.